World-class industrial water treatment training courses delivered by experts. This intensive one day industrial water treatment training course, WTS 0020 “Introduction to Industrial Water Treatment for In-Field Technicians & Service Engineers” has been developed by the industrial and process water treatment experts at WTS. This course is designed to for in-field water treatment technicians and water treatment service engineers with responsibility for the operation and management of commercial, industrial and process water treatment systems. Steam raising systems including industrial boilers and steam generating plant. Cooling water systems including open recirculating and evaporative cooling systems. Closed system heating and cooling water circuits. 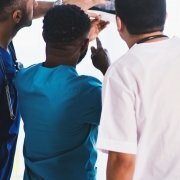 Typical candidates will be in-field water treatment technicians and water treatment service engineers wishing to improve their technical skills, and extend the range of services they can offer associated with industrial water treatment covering steam boilers, cooling systems and closed system water circuits. 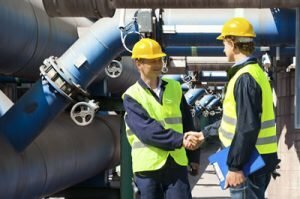 Inexperienced candidates will find this introductory course beneficial before progressing to our more specialist water and wastewater treatment training courses. General introduction to this industrial water treatment training course and our expert trainer. 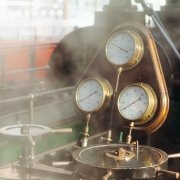 Introduction to boiler and steam generation systems. Controlling and preventing scale in boilers. Condensate systems and condensate corrosion. Off-line and idle boiler protection. Best practice treatment of boilers and BS2486. 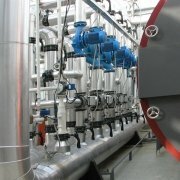 Selection of chemical water treatments for effective boiler management. Introduction to water cooling systems. The regulatory environmental and the control of Legionella bacteria. Water characteristics and how to predict water quality including the Langelier Saturation Index (LSI) and Ryzner Stability Index (RSI). 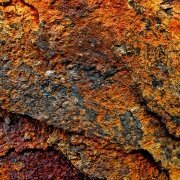 Corrosion – factors influencing rates of corrosion and ways to control it. Scale – factors influencing the formation of scale and ways to control it. 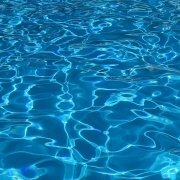 Suspended solids – problems, monitoring and prevention. Bio-fouling and microbial growth – including biofilm and Legionella bacteria. 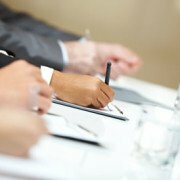 The regulatory environment and best practice. Good practice chemical water treatment programmes for cooling systems – design and control. Introduction to closed system heating and chiller systems. Types of closed system circuits. A review of the issues affecting new and existing closed systems. Testing and interpretation of results. Good practice chemical water treatment programmes for closed systems – design and control. Who would Benefit from our Industrial Water Treatment Training? Typical candidates benefiting from WTS 0020 will be in-field water treatment technicians and water treatment service engineers wishing to improve their technical skills, and extend the range of services they can offer associated with industrial water treatment covering steam generating plant, boilers, cooling water systems including cooling towers, and closed system water circuits. Please note that this course is a specific pre-qualification requirement for some of our other more specialist training courses. What will you Learn about Treating Industrial & Process Water on WTS 0020? Steam raising plant including industrial boilers and steam generators. Closed-circuit heating and cooling systems. The problems associated with scaling, fouling and corrosion caused by oxygen and carbon dioxide in steam raising systems. The skills to perform basic water analysis tests and learn how to interpret the results so as to effectively monitor, control and manage steam systems. 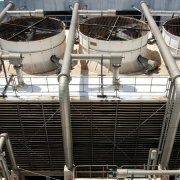 The problems associated with scale, corrosion, bio-fouling and suspended solids in cooling systems. The issues associated with microbiological proliferation and fouling in cooling systems including the risks presented by Legionella bacteria. The skills to perform basic water analysis tests and learn how to interpret the results so as to effectively monitor, control and manage cooling systems. The problems associated with scale, corrosion, bio-fouling and suspended solids in closed-circuit systems. The issues associated with microbiological proliferation and fouling in closed systems. The skills to perform basic water analysis tests and learn how to interpret the results so as to effectively monitor, control and manage closed-circuit heating and cooling systems. WTS 0020 “Introduction to Industrial Water Treatment for In-Field Technicians & Service Engineers” is an intensive course designed for new and experienced in-field water treatment technicians and service engineers wishing to improve their technical skills and extend the range of services they can offer to customers. Prior knowledge and practical experience of industrial water treatment issues associated with the management of steam boilers, cooling systems and closed-circuit systems is essential. We recommend a minimum of 6 months practical in-field experience before starting this course. On successful completion candidates will receive a certificate of attainment issued by Water Treatment Services for the course “Introduction to Industrial Water Treatment for In-Field Technicians & Service Engineers” – WTS 0020. How Long is the Course WTS 0020? If you are interested in this or any of our other industrial water treatment training courses and would like to receive further details, including dates and venues please contact us. 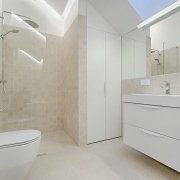 Contact us now for more information about WTS 0020 or for your FREE, no obligation quote.